Dummy Duck 7 work in progress! Made with NESmaker! DOWNLOAD THE ROM HERE and play it on your NES emulator! 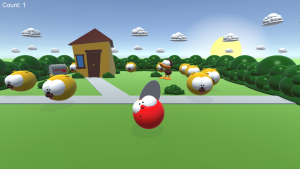 DUMMY stuff made in Unity! ROLL LIL’ RED! Play online! Play my games at Kongregate.com! Check out Dummy’s RSD Game-Maker stuff!